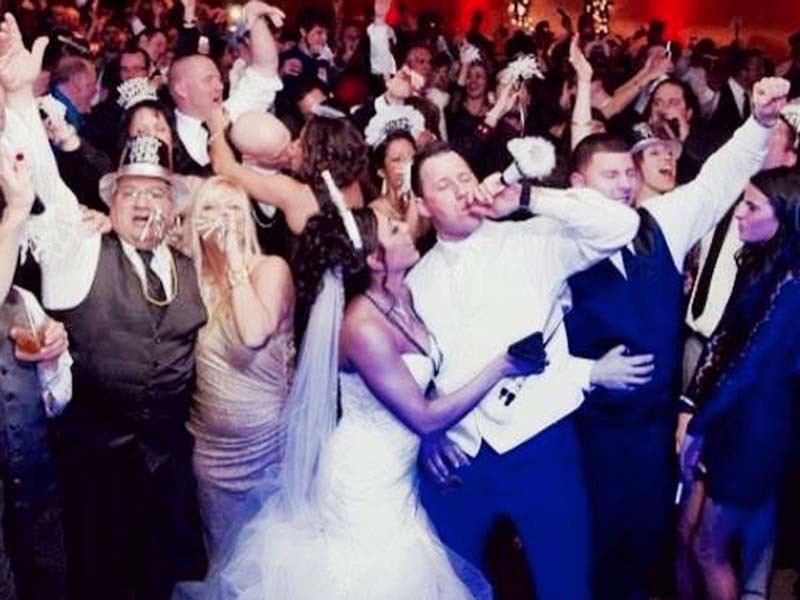 Your wedding is one of the biggest events of your lifetime. 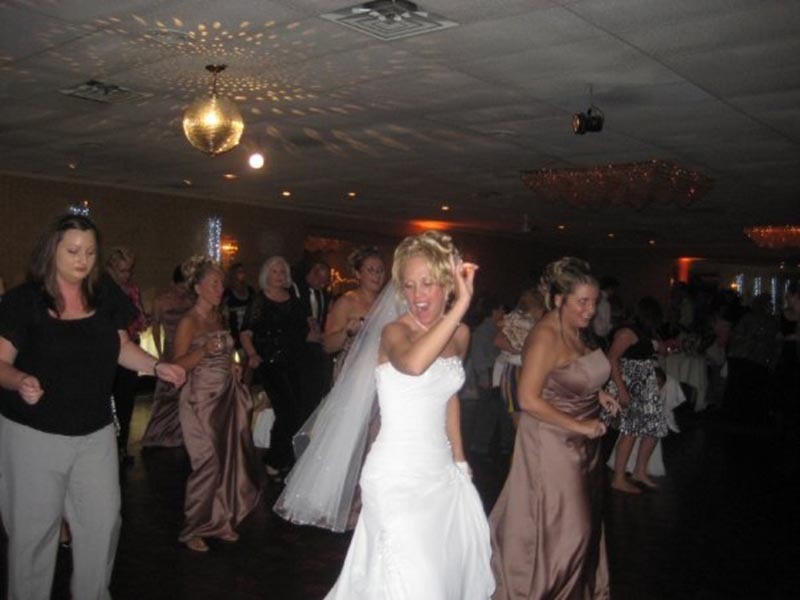 The entertainment you choose could "make or break" your reception. There are many dj companies out there. You will also discover there is a broad range of prices. There also are companies that are attempting to be your photographer & dj. 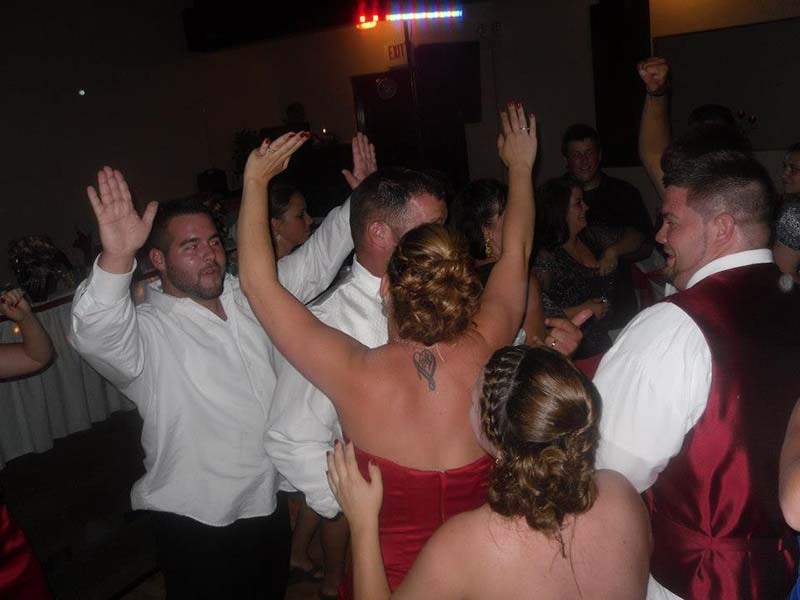 DJ Chuck Webb has kept to specializing in one aspect of your reception for many years and that is focusing on the music and being your MC. I also understand it's your day so I will not be like some djs who try to upstage the bride by thinking the dj is the center of attention. 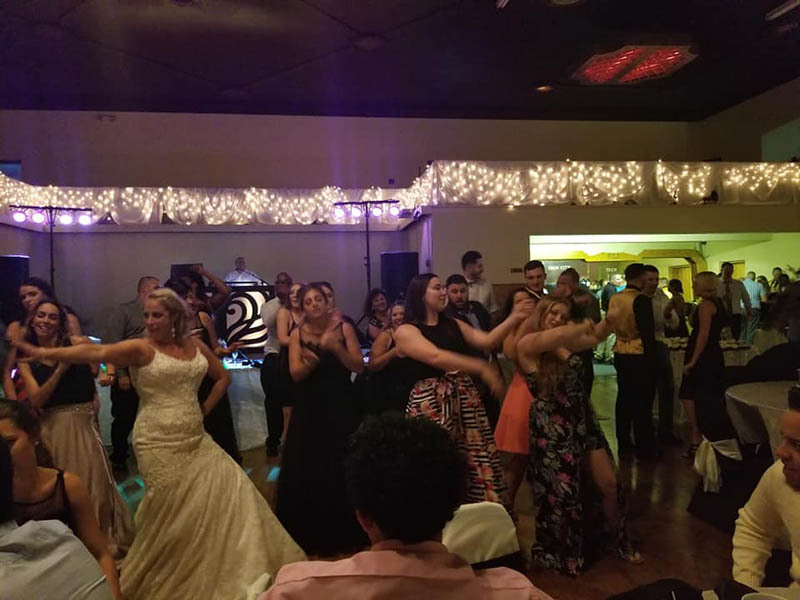 It has been a privilege to have performed at thousands of wedding receptions & ceremonies since 1980 in the Pittsburgh, Cranberry, Beaver County and surrounding areas . Jobs are never subcontracted out to other djs. It is becoming a popular trend to have your ceremony in the same location as the reception or at a gazebo or lake on the venue's property. 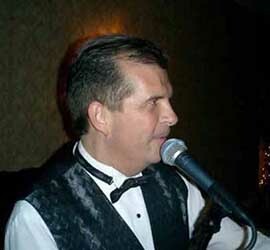 Chuck Webb can provide you with traditional or contemporary style music depending on your personal preference. 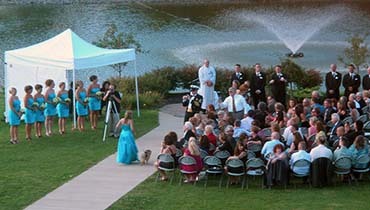 A portable sound system with a lavalier wireless microphone is available for the officiant. We keep everything moving so you can enjoy your day. There's a lot of planning involved for a wedding. DJ Chuck Webb helps make the experience a lot less stressful with the online planner. Once your date is booked, you and your fiancee will have access to the online planner. 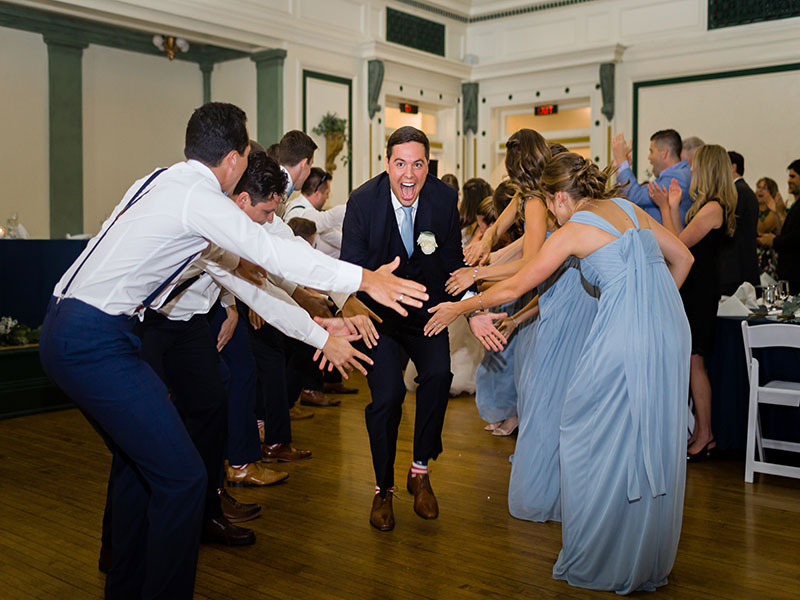 In your spare time you can search the music database, look at lists of the most popular wedding songs, and input your information to the planner. Once this is completed, we will then go over all the details of your big day. Doing things this way assures you of an organized and stress-free experience. 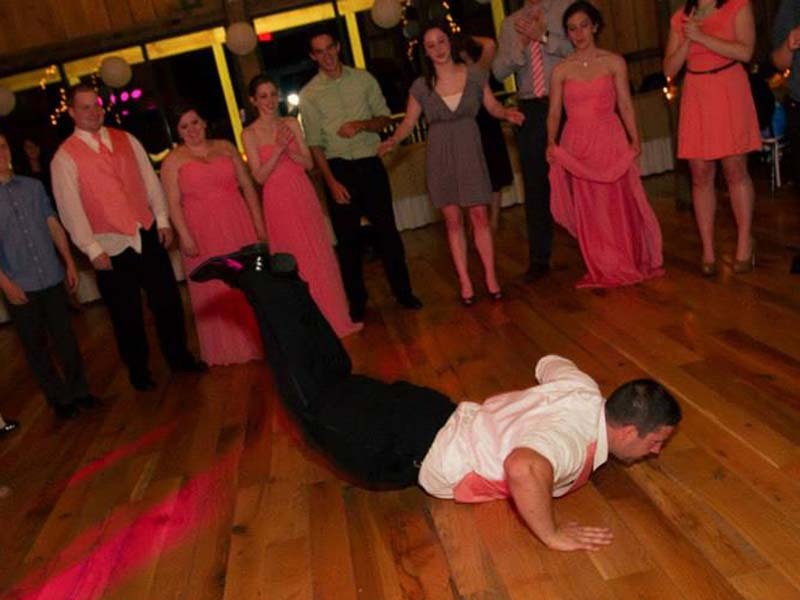 In addition to planning out all the music and special dances at your wedding, there are other options available. 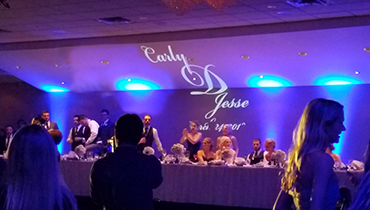 Uplighting can make any room stunning. It adds character and pizzazz to a room. With our LED lights from Chauvet we can make any color. So pick a color, any color and we will bring it to light. For that personal touch, have your names or initials in lights. A bright 4,500 lumen projector is used to project the image on the floor, wall or ceiling. A through-the-years video picture montage as you see the bride & groom growing up and together and then as a couple. The montage is on a dvd and can be shown once on a 10 foot screen or run it continuous on a LED TV in a corner of the room.